Her contributions to her community are further expressed through her work with her church, Brookland Baptist, and her sorority, Delta Sigma Theta Sorority, Inc. The City projects she works diligently on are numerous. She was the co-chairperson on the Workforce Initiative Project (WIP) and also spearheaded the reorganization of the City’s courts system. She remains involved as a liaison between the municipal judges and City Council. She also spearheads the City’s annual National Youth Violence Prevention Week activities. Mrs. Devine has been a champion of many causes, but the development and empowerment of women and youth are causes that touch her on a personal level. She continues to lead the city’s efforts to develop more youth initiatives and works to further the community’s commitment to anti- gang programs. She has been involved with the development of the Police Athletic League (PAL), a program that blends public safety officers into activities in the City’s parks. Mrs. Devine was also a leading force on City Council in support of the need for a gang study. This information has been used for the creation of programs to keep our youth out of gangs and also provide training for parents to recognize gang activities, signs and graffiti. Mrs. Devine serves as a mentor for youth who have aspirations of becoming a lawyer or pursuing a career in the legal profession. She has also participated in programs which have allowed youth to shadow her at her law firm. 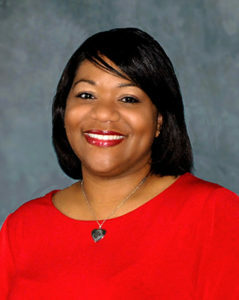 Devine helped to establish the City’s Criminal Domestic Violence Task Force. Out of this initiative came the concept for the Mayor’s Walk Against Domestic Violence. Her idea for the walk was motivated by the need to increase awareness and provide education to citizens during Criminal Domestic Violence Awareness Month (October). The first walk was held in October 2007 and is now an annual event. Mrs. Devine has taken the lead for the Together We Can project, which was initiated between the City of Columbia and Richland School District One. It is an educational initiative that was formed to support and enhance student achievement, promote the district’s success, and encourage the community to become more involved in Richland One’s schools. She has continued to be a community champion for wellness and currently co-chairs the City’s Let’s Move Columbia initiative. Councilwoman Devine and Columbia’s First Lady DeAndrea Benjamin are spreading the message of wellness and healthy lifestyles throughout the Midlands region of South Carolina. She is also the City of Columbia’s spokesperson for Heart Health Awareness Month and annually convenes local government, business and neighborhood leaders to focus on heart health issues and their impact in the local community.